Which Robotics for Kids will we look at? I love robotics for kids. The massive world of knowledge kids can glean from building, creating, and programming robotics is huge. I also hate robot toys. A lot of manufacturers saw an opening in the sciences by making robot toys for kids. Lots of these robot toys are plastic garbage - used mainly to keep kids entertained for a short time, but lack any educational learning experiences. That's why I wanted to create a list of my favorite robotics for kids. Each of these robots has their own strengths and weaknesses, and each one won't be right for every child, so take a look at my review and determine which robot is best for your family and learning goals! 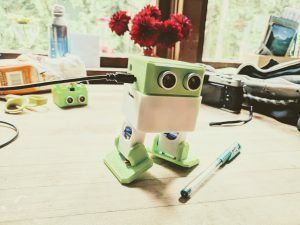 I will continually update this list as I find more of the best robots for kids and cool programmable robots for education. 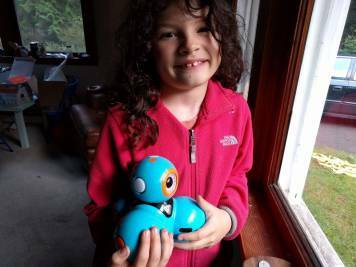 The MakeBlock Ranger is a middle between premade robots that kids can learn programming with (like the Ozobot, Dash, and Sphero), and OTTO, which is fairly open source. I love that the MakeBlock Ranger utilizes old popular toys, like Mechano and Lego, to help kids learn basic robot building skills. How do you tighten a small bolt in an odd space? Which way does a screw tighten? How important is the order of your processes? The Ranger is programmed through a mBot interface that can be accessed via web or app. Like many programmable robots for kids, it has a set of challenges and star rewards kids can get to train them through the programming process. If you are looking for a true hands-on programmable robot experience the OTTO is for you. Kids will get to build and wire this robot, which fits inside a 3D printed shell. The directions are fairly easy to follow, and wiring is a cinch as it is mostly plugging cables together. There isn’t any soldering necessary unless you want to make parts permanent, which I don’t recommend. I love the OTTO robot because you can add or subtract components. As you build your own robot you can decide if you want an LED matrix mouth or Bluetooth capability. These add-ons are often just finding schematics and plugging into the right Arduino ports. This allows your kids to determine how their OTTO will behave. Bonus, if you want to focus on building a robot, but not programming a robot, there are a TON of downloadable codes you can push to your OTTO making it dance to Beyonce, wiggle and giggle, and more. If you want to work on the programming aspect you can also do that, which is one of the reasons why I love this DIY robot kit so much. Just power up the Arduino web editor, write your code (or copy-paste pre-made code and tweak it to your wants) and go! Like the rest of the robotics for kids that I like, the Dash robot comes put together. 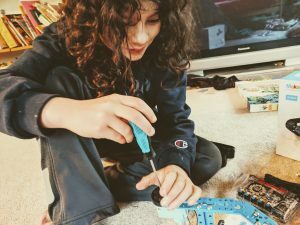 I understand parents weariness to build your own robot, and the Dash, Ozobot, Sphero, etc are all great when you look at the whole of robotics for kids. But I encourage you to take a second look at the mBot and the OTTO robot since is allows kits to build and program their own robotics. While I agree that programming is an essential tool to robotics, I also think learning the skills to build a robot are also important, and likely more swept under the rug than the programming aspect. With that said, I love the Dash robot. It is rugged, can take a hit, and fun to program. You have to program the Dash robot via an app, but it has a ton of silliness pre-created allowing kids to engage, laugh, and play as they learn basic programming skills. The Ozobot is a great little robot to get kids started in robotics. I love the Ozobot because you don’t need any sort of app to begin programming. It is also small, rugged, and creative. Kids can program the Ozobot to turn, speed up, slow, down, and do cool moves using markers. If you are looking for robot toys for toddlers the Ozobot is also perfect since at the core it is a simple line following robot. 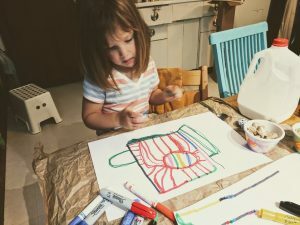 Toddlers can use a thick chisel marker to create art and the Ozobot will happily chug along their lines. The Ozobot is lower on my list mainly for robotics for kids mainly because it doesn’t have the building aspect and also lacks sophisticated programming. However, with that said, there is a lot that the Ozobot can do, especially in mazes and logic, which makes it a great choice for parents not wanting to fuss with apps, or teachers looking for a way to blend art and science. The Codey Rocky is another programmable robot from the MakeBlock team. This little robot is ready to go out of the box and can be app programmed. Again, like the mBot Ranger, the app has a little game that teaches kids how to drag and drop Blocky programming. The Codey Rocky is a great addition for young hands and has been a delight to play ‘soccer’ with the Ranger that my older daughter built. Catapults for Kids: Snowball fight!